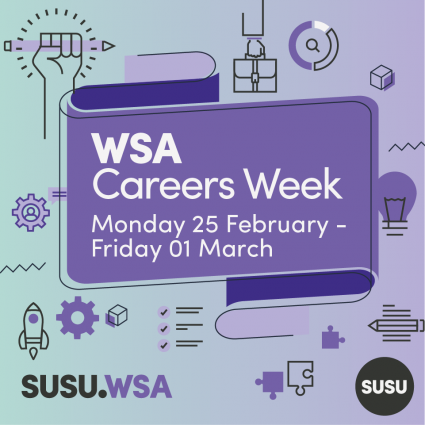 WSA Careers Week: What’s On? “Career Options and Career Readiness” Talk for Undergraduate (BA) students // 12:00 – 13:00 // Seminar Rooms 8 & 9 // Careers and Employability Service. “Freelancing Bootcamp” Workshop for Undergraduate (BA) and Postgraduate (MA) students – learn about life as a freelancer including sales, marketing, time management, getting started and networking. Mutrend Lab is an independent concept store and a collaborative space run by a social enterprise startup Mu Collective CIC, a fast growing creative community where we endorse good designs and timeless creations. Whitchurch Silk Mill is the oldest silk mill in the UK still in its original building. A gem of industrial heritage in beautiful, rural Hampshire. The silk mill is available for tours and has a shop with handcrafted items. They often organise crafting workshops as well. Climax is a games design company located in Portsmouth. They have an extensive history in developing all kinds of digital experiences across all formats, delivering entire games, through to co-development and technological problem solving and the have won awards along the way. Every year Careers & Employability Services help thousands of students to explore, develop and shape their futures through connecting them with hundreds of organisations, graduate recruiters and further study providers. Arts at University of Southampton is a gateway to a world of Arts and Culture at the University and the cities of Southampton and Winchester. Our student Arts Ambassadors and staff at can provide information on Excel Internships (paid placements) at arts and cultural organisations across Southampton and Winchester and advice on how to navigate a career in this sector. Also hear about Turner Sims (University’s concert hall), John Hansard Gallery (University’s contemporary art gallery), Nuffield Southampton Theatres and a space arts and the opportunities they have for current students and alumni. Winchester School of Art Library is part of the University Southampton Library Service, which provides support across every University campus. They also offer drop-ins for academic writing. Busy with your assignments, essays, hand-ins, reports? 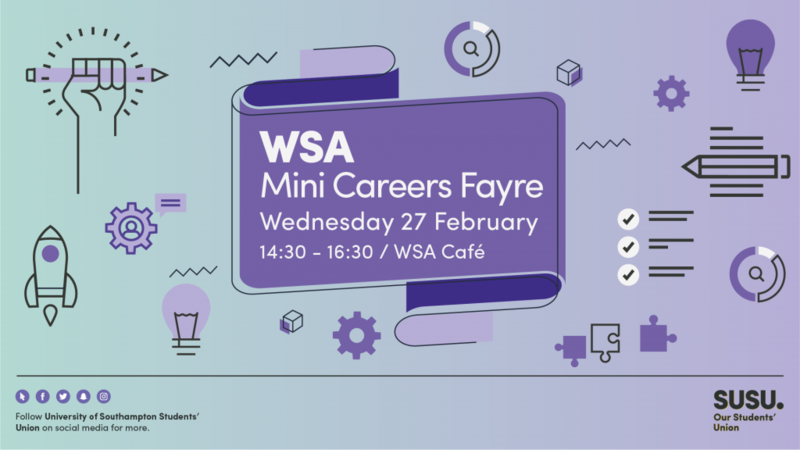 Our Union’s Academic Integrity Campaign will be present at the Mini Careers Fair to help you understand the dos and don’ts of Academic Integrity. Our Union has its own Marketing and Communications Team with various experts in Marketing and Design. Come and talk to them about their career graphic design, video, social media, animation and ask our Marketing Manager about what she would like to see as an employer. Our Union has launched the STRIVE scheme to give you credit for all the wonderful volunteering work that you are doing and will do over the course of your studies at the University of Southampton. We recognise your volunteering experience by issuing an e-Badge. Come and talk to Margarita, Our Union’s learning and Development Adviser, about how to get involved.